Stella B. and Mila H. celebrate double birthdays at JDPC! 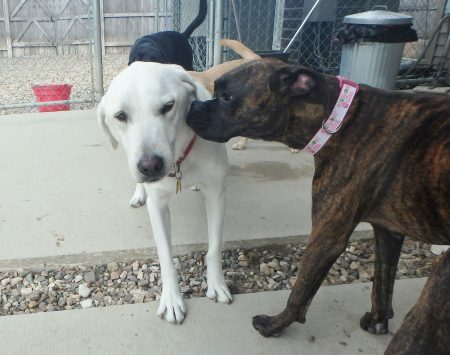 Stella, a yellow lab, is 4 years old, and Mila, a boxer, is 1. Hope they both got what they wished for on their birthdays! !